Property 1: Charming Chalet close to the ski area! Great views, reasonable rates! Beautiful Mountain Retreat Just Minutes From the Slopes!! Property 5: Beautiful Mountain Retreat Just Minutes From the Slopes!! Luxury Chalet with Chef's Kitchen Minutes from from Ski Lifts! Property 7: Luxury Chalet with Chef's Kitchen Minutes from from Ski Lifts! 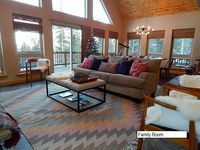 Ski-in/out at this Luxury Modern Chalet with breathtaking Wheeler Peak views! Property 8: Ski-in/out at this Luxury Modern Chalet with breathtaking Wheeler Peak views! Casa Carmen-the Private House Near Taos and the Ski Valley! Property 9: Casa Carmen-the Private House Near Taos and the Ski Valley! Ski in Ski Out from 10,000' where living in the mountains is all it should be. Property 11: Ski in Ski Out from 10,000' where living in the mountains is all it should be. Taos Ski Valley Chalet - Steps from the Lift! 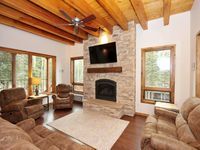 Property 12: Taos Ski Valley Chalet - Steps from the Lift! Cozy Chalet Close to Everything! Property 20: Cozy Chalet Close to Everything! We spent 5 days at the house and were very pleased. 4 adults and 6 kids &mdash; no problems for sleeping, dining or playing games. Great location to ski access. Simply cannot be happier. We intend to rent here again.